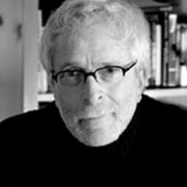 Superstition Review student editors Hanna Roen, Sarah Snyder, and Brooke Stevenson conducted this online interview with author Lee Gutkind. Superstition Review: Your works and interests seem so wide-ranging, from the motorcycle life in Bike Fever to organ transplantation in Many Sleepless Nights. How do you decide what you're going to write about next? Lee Gutkind: It's got to be a subject that intrigues me, that possesses the potential of a great narrative with real characters—and it has to always present the opportunity to make an impact, change the world, at least to a certain extent. SR : On CNF.org we read that you call yourself an unlikely success. Could you expound on your atypical path to success? We think it might inspire some of our readers who are coming at writing from different avenues. LG: Graduated high school in the 5th of my class. Weighed 220 pounds. Started in the military. Took jobs selling shoes, driving trucks, delivering beer—until I suddenly discovered my own potential and my appreciation of the written word. SR: In "Dog Story," from Forever Fat: Essays by the Godfather, you fluently suggest the dog's thoughts when the officers take Icy away. How did your research for The Veterinarian's Touch: Profiles of Life among Animals and/or An Unspoken Art: Profiles of Veterinary Life help you characterize Icy, without anthropomorphizing him? LG: I spent a lot of time with many veterinarians. And I figured none of my readers would actually think that my ideas about how dogs think were to be taken as if I could document them. SR: You've said in an interview with The Adirondack Review that good creative nonfiction has more substance than style, substance meaning facts and the examination of them. What advice do you have for budding creative nonfiction writers trying to make their personal narratives "relate to a larger, extended readership?" LG: Don't be egocentric; Reach out to readers all over the world—with a universal message. SR: In your essay, "The Creative Nonfiction Police," you (I think bravely) recommend allowing characters in a piece a chance to defend themselves, and I was pleased that you addressed a concern that creative nonfiction characters may be upset by their appearances in work. How do you decide who you will consult and how do you go about discussing a sensitive subject with a character, such as the intimate story of your father in Forever Fat, or a mention of an ex-wife? LG: I evaluate each instance separately. I go back to the characters about whom I have written or am writing about if I believe that they have the ability to look at all sides of an issue or an idea. If they think they are always right—if they cannot see themselves as others might see them—then any efforts I might make to reach out to them, would be ineffective. SR: Has your opinion about baseball changed since your time writing The Best Seat in Baseball, But You Have to Stand!? LG: I think it has lost the magical aura, the excitement, humanity and mystery it once radiated. But so too have most professional sports. Hard to care about players who are so wealthy and self-obsessed. SR: Which of your writing projects has been your favorite, taking into consideration both the field research that went into it and the final product? LG: The life and death, the miracle and the tragedy confronted in Many Sleepless Nights changed my life. SR: We read that you wanted to be a novelist when you were younger and you published God's Helicopter in 1983. Do you think you'll write another novel in the future? SR: Vanity Fair called you "The Godfather" of creative nonfiction. Any comments on that? LG: It was the Godfather "behind" creative nonfiction. They wrote the story to make me look bad, but it brought the dialogue about the genre to the forefront of literature and helped solidify my standing as one of the leaders in the field. SR: What was it like to be onThe Daily Show with Jon Stewart? Did Almost Human: Making Robots Think get anything like "the Colbert bump" after that appearance? LG: It got a great bump in sales, but, alas, it did not last. Being a guest onThe Daily Show was a gas. I had a great time. That show was nominated for an Emmy. SR: What are your interests beyond your scope of being a writer? LG: My son is my main occupation—before being a writer. SR: What do you like to read? LG: The New York Times, the Wall Street Journal and, these days, I am re-reading classics, like War and Peace, Atlas Shrugged, On the Road, Down and Out in Paris and London. LG: A book about fatherhood—what are the challenges and rewards of being an old new dad.